"Ronald Linville has a significant public sector practice, working with high-profile entities...regarding their labor contracts and labor arbitrations. One client praises his 'calm and calculated approach, which served our agency extremely well.'" 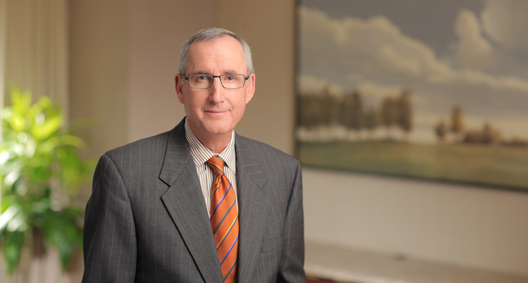 Ron Linville focuses his practice on management-side labor and employment matters, utilizing more than 38 years of knowledge and experience to help clients solve their distinct concerns. He has developed one of the largest public-sector practices in Ohio and works with high-profile entities such as airports, cities and transit systems in the negotiation of their labor contracts and labor arbitration litigation. His private-sector work includes the defense of several Fortune 100 companies in employment-related litigation and the day-to-day counseling of major corporations, advising them on how best to avoid litigation and the resolution of issues quickly and efficiently should any occur. Ron ensures that matters are resolved in a way that satisfies his clients’ immediate goals while also supporting long-term business strategies. Through treating all involved parties with respect, Ron is able to discern the facts of a matter directly and collaborate to determine the most practical way to solve workplace issues. Ron is the former managing partner of BakerHostetler’s Columbus office and previously served as chair of the firm’s national Employment and Labor group, where he managed all employment lawyers in BakerHostetler’s offices, coast to coast. This team of employment litigators and traditional labor lawyers form one of the largest practices of any national, full-service law firm in the country. He has been ranked in Chambers USA: America’s Leading Lawyers for Business since 2008 and has been listed in The Best Lawyers in America since 1995. Anticipated and assisted in preparing a transit authority for a strike among union employees following the union membership’s rejection of a fact-finding award during collective bargaining in 2012. Established trust between opposing sides through fair treatment of the union and the employer, and an understanding of the facts of the matter was reached. The three-day strike ended with the collapse of union leadership upon returning to work and no changes were made to the contract that was previously rejected. Managed an active Ohio employment litigation docket for a major automobile manufacturer. Conducted more than 18 months and hundreds of hours of extensive negotiation, and stripped $6 million to $8 million from the contract of a financially struggling public transit authority company.